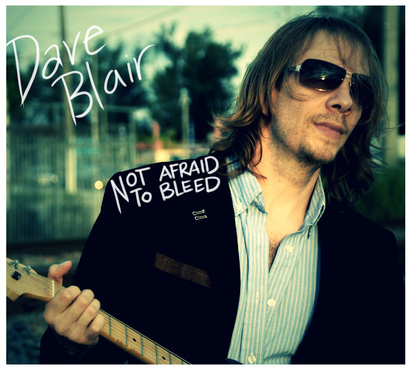 Get a Copy of Dave Blair’s Latest Album, NOT AFRAID TO BLEED, For Just $8.95! Click Here To Download “NOT AFRAID TO BLEED” Now! Dave’s tunes owe their funky vibe to the monster groove of P-FUNK All Stars alumni Donna “Ladybass”. The sing along melodies are sweetened by the haunting and powerful vocal arrangements of Scissor Sisters alumni Bridget Barkan. In short, if you dig searing guitars and infectious groves that that jump out of the speakers and energize you then you need to get this in your playlist! So click the order button below and get instant access to Dave Blair’s latest album, “Not Afraid to Bleed”, and discover what funk rock critics and fans are talking about! You will receive a digital download of “Not Afraid To Bleed” via email, immediately after placing your order.